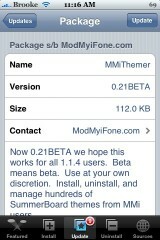 MMiThemer 0.21Beta continues to try to work out some of the bugs in the application. 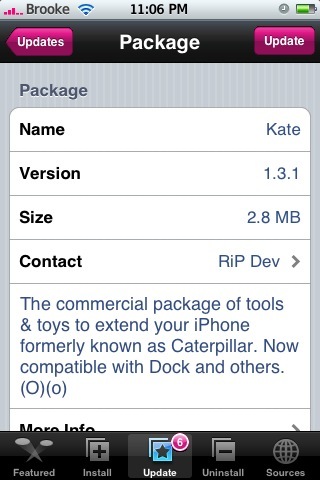 The update does fix a few bugs which will hopefully get the app working for a few more of you. There are no visual changes to the application though I did notice that the themes installed using MMiThemer now show up in SummerBoard, Customize and Kate. 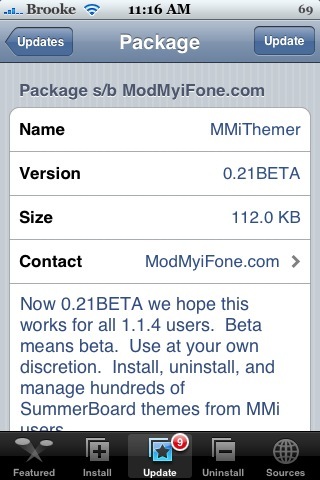 MMiThemer is available through the ModMyiFone source.